You have better things to do than mess around with membership billing and failed payments. You'd probably rather be outside having fun, instead of being stuck inside micro-managing your gym software. And having to be around on the 1st, or the 15th of the month to make sure all those recurring memberships are charged correctly? That won't scale. Hiring people for data entry could work, but deep down inside you know that's not the right solution for long term success. The most important thing are your members, and empowering them with the tools to make the experience with your gym valuable beyond cancellation. 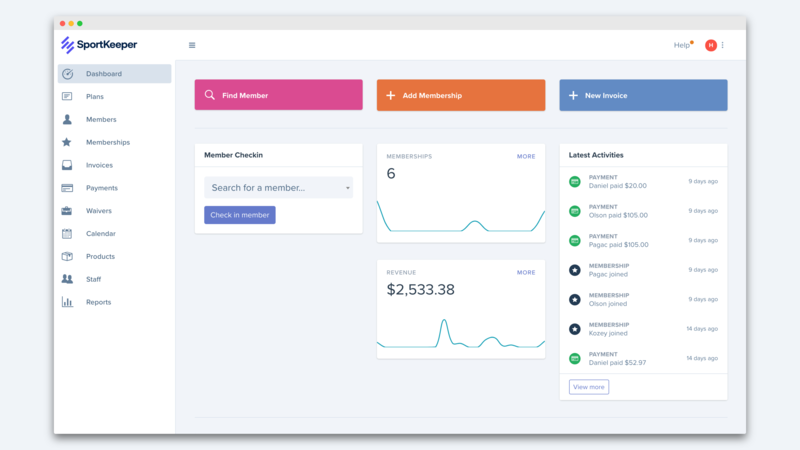 Tools like private portals where your members can log in and manage their own membership. When that membership payment fails (let's face it, it happens), we'll guide your member through updating their payment methods and getting back on track. All without you having to lift a finger. Setup takes less than 10 minutes. It's so simple you can do it yourself. But of course, we're here if you need us. Look, I get it. Your gym is your baby. I realize it takes a lot to even think about switching software. We can help you with that. Switching is incredibly simple. Just upload a couple CSV files, and we'll migrate all your data for free. All your memberships. All the payments, products, and checkins. Interested in kicking around the proverbial tires? You can jump right into a working demo that you can explore on your own in less than a minute. No sales channels to get piped through. No sitting on hold or finding time to schedule a screencast just to view a demo. I believe in transparency, so everything is out in the open. Screenshots of the UI aren't hard to find, and our demo isn't walled off. Things just simply work. Every day tasks are effortless out of the box. Workflows are easier and more efficient. Your members become happier, and you'll have a better grasp on how your business is running. Software doesn't have to be big, scary, and complex. You should be able to get to 99% of what you need to get to with just a couple of clicks. Endless click-holes are for the birds. You deserve better. With gym management software that's intuitive and easy to learn, staff training becomes a part of the past. Consider it a relic of bygone software. Within a matter of a day your staff will be up to speed, and they'll be happier in the process. 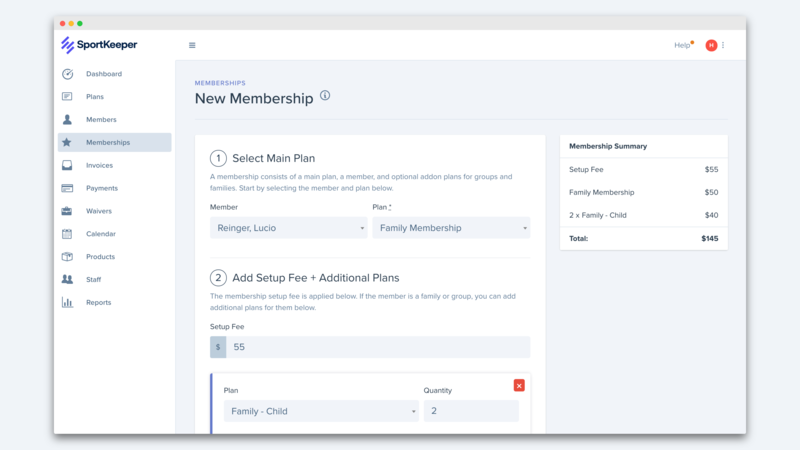 Seemingly complex tasks like setting up recurring memberships for groups or families has never been so simple. It doesn't matter if they're paying by card or by EFT, the process is the same. Set it and forget it. We'll handle the rest. We're a small team. You'll likely be getting support from the same person who wrote this (which also happens to be the same person who wrote the software). I guarantee you won't sit on hold for 45 minutes for support, only to be shuffled to another department. When a software platform is aesthetically beautiful, it makes working more enjoyable. This leads to less stress on the staff, which means less of a chance of making mistakes, and a better experience for your members. This isn't some far-fetched dream. Those are real screenshots. The software is nearly complete, and we're just shoring up some loose ends before we launch. It's instant. No sales people. No B.S. Then when you're ready, join our beta.